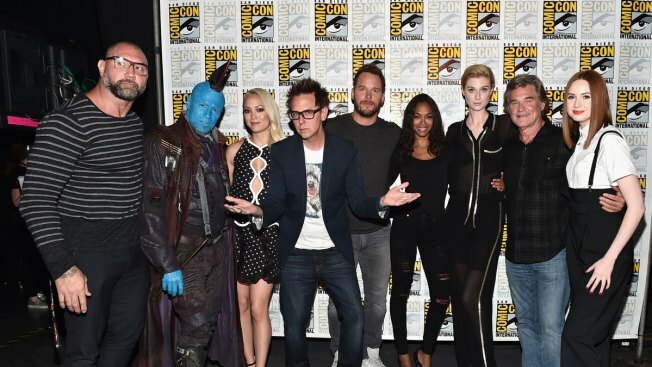 Cast members write Monday that they aren't defending Gunn's jokes from years ago but wished to speak about his upstanding character on the set of "Guardians"
Chris Pratt, Zoe Saldana, Bradley Cooper and six other main cast members of "Guardians of the Galaxy" have issued an open letter in support of ousted director James Gunn. Cast members write Monday that they aren't defending Gunn's jokes from years ago but wished to speak about his upstanding character on the set of "Guardians" 1 and 2. They say they look forward to working with Gunn in the future.